Poodles are proud, loyal, and happy. They are intelligent, sensitive dogs that often like to indulge their playful side. In France, where the Poodle is the national dog, it is called le caniche or “duck dog” because it is an excellent retriever. 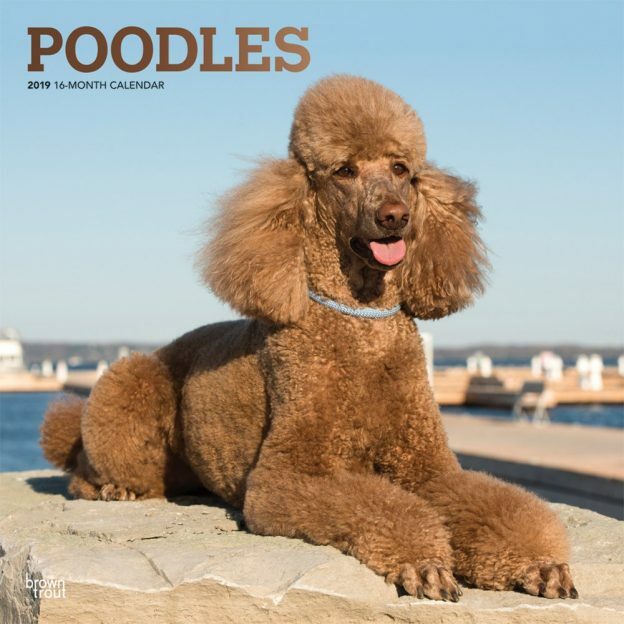 This wonderful square wall calendar is devoted entirely to the standard Poodle and shows elegant pooches of various colors, including gray, white, gold, and black. This calendar includes a free download of the DogDays™ app for the smartphone and tablet, which grants access to the world’s most captivating dog photos and backgrounds, fun puzzles, and a calendar featuring your favorite furry friends. This entry was posted in Calendar Showcase, Dog Breed on January 17, 2019 by dogdaysapp.